Use your Scouting experience to make a difference! Volunteering is not only rewarding for you, it can change a child’s life. 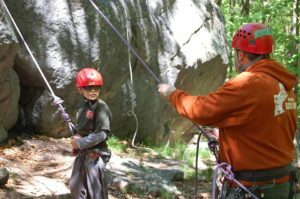 The New England Base Camps and the 7 satellite programs locations provide outdoor education and character education opportunities. The flagship location (Blue Hills – just outside Boston) provides year round programs for families and school age children each weekend. You might be a Scouter whose kids are in college, in their 20s and Scouting was a huge part of the way you raised them. Working with all those kids and helping them grow and develop through Scouting, helped you become a practical expert at youth development. You can give the troop over to the next generation, serve on the committee, help out from time to time, and maybe teach a couple merit badges, but you might be looking for a more exciting Scouting opportunity. Now, through our new service model the Base Camps and the satellites, you can volunteer a Saturday morning or an afternoon and work with kids in the outdoors. Thus putting all that great experience to work for another generation. You might be an older teens looking for hands on experience in teaching, coaching or youth development. 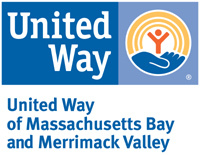 The volunteer hours are often recognized by school districts and other organizations to fulfill community service requirements. Young adults will be trained and often work along-side educational or recreation professionals. It can be as simple as an afternoon a month. Teaching basic camping skills to Cubs and their parents. Teaching Totin’ chit to Scouts. Or, you can use it as a pathway to certifications in archery, shooting sports, rock climbing, ice climbing, or lifeguarding. The short-term volunteer roles provide support and expertise. 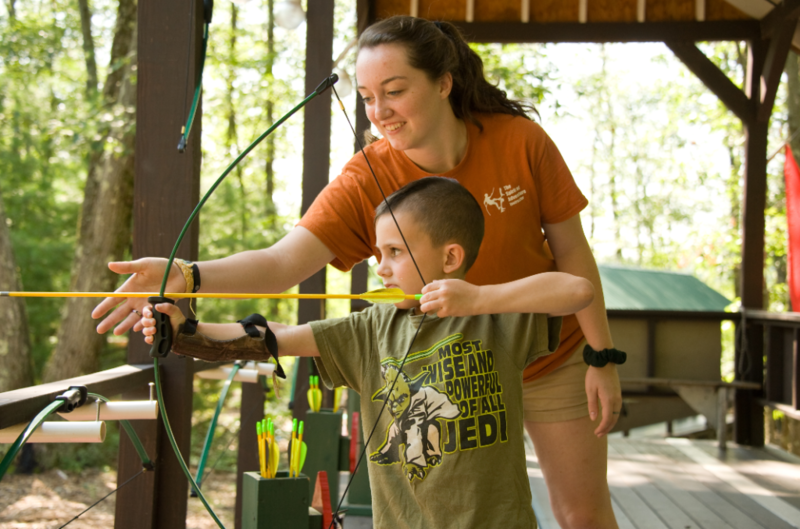 As a weekend program volunteer your role will be to impart skills that you’ve acquired to children. The program is so robust that virtually every life skill is a part of the curriculum, so even if you’ve never camped, or can’t navigate by the stars, it’s OK! We still need your unique skills so kids can learn about computers, citizenship, gardening and hundreds of other activities. Check out our VolunteerMatch listing, and contact Chuck Blanchette at Chuck.Blanchette@scouting.org if you are interested in volunteering your time to make a difference in Scouting!